Is your business in need of bike parking? University City District (UCD), the community group that seeks to assist resident in making U City a more sustainable neighborhood, can help you out. 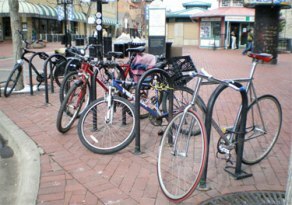 The group, which has already installed over 100 bike racks throughout U City, has plans to make a bulk purchase of bike racks in hopes of making the area even more bike-accessible. But, before they can do so, they need area businesses to express interest in receiving a rack. If you’re a business owner, or employee at a business, in need of new or additional bike racks contact, Joe McNulty at joe@university.org or 215-243-0555. While you’re at it, feel free to let UCD know of any other cycling suggestions you may have!